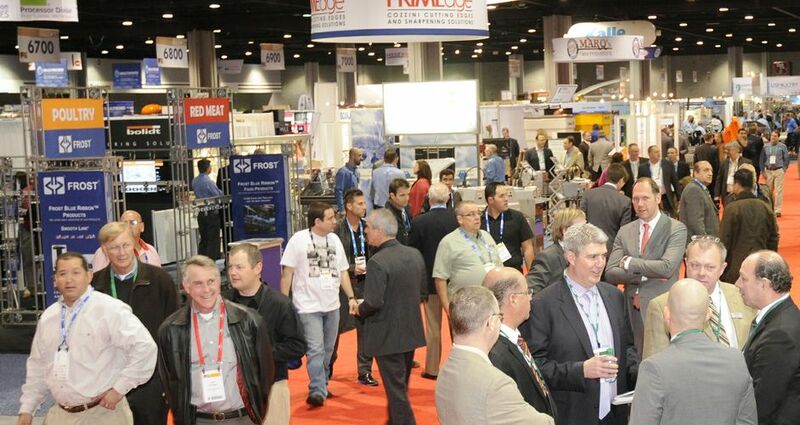 International Production & Processing Expo (IPPE) drew a record 30,350 attendees, representing a 20 percent increase in attendance over 2014. The 2015 show, held Jan. 27-29 at the Georgia World Congress Center also drew 1,284 exhibitors utilizing nearly 500,000 net square feet of exhibit space, nearly 20 percent more space than the previous year. The meeting began as a 200-person poultry convention at the Ansley Hotel in Atlanta. Today, the expo is sponsored by the U.S. Poultry & Egg Association, American Feed Industry Association and North American Meat Institute and is the world’s largest annual poultry, meat, and feed industry event of its kind. Attendance-building events such as “Feather Fest,” created by show organizers and ACVB in 2010, have evolved into popular “Meat Me in @LANTA” activities, including a chili cook-off, cooking demonstrations, contests and more. These events have helped to contribute to the expo’s continued growth in both attendance and exhibitors. ACVB also provides digital marketing support such as custom microsites, videos, email marketing and more. “Each year, Atlanta’s hospitality community rolls out the red carpet for our attendees and exhibitors and they have been instrumental in helping the show grow,” said John Starkey, president U.S. Poultry & Egg Association. IPPE has committed to Atlanta for the expo through 2020.